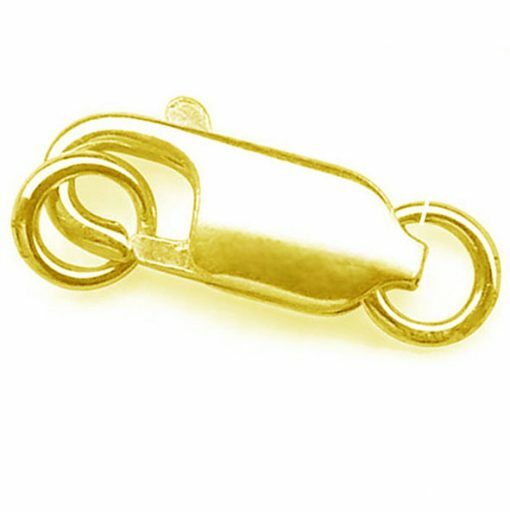 A 14K Yellow Gold Lobster Claw Clasp, also a 14k Yellow Gold Open Jump ring will be included so that you are ready to make your own unique jewelry. 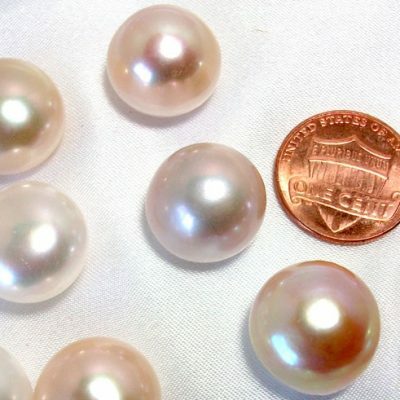 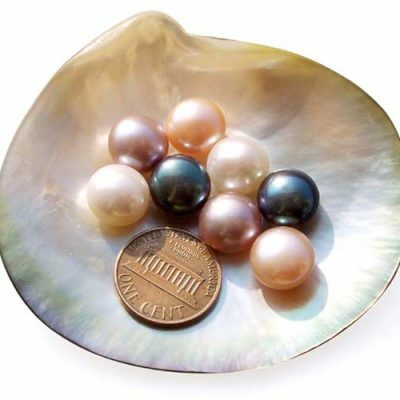 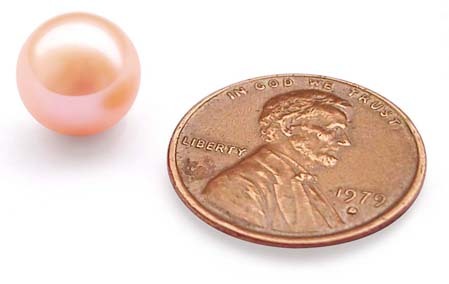 The clasp has a dimension of 4mm x 10mm for a bracelet or smaller sized pearls and other gemstones. 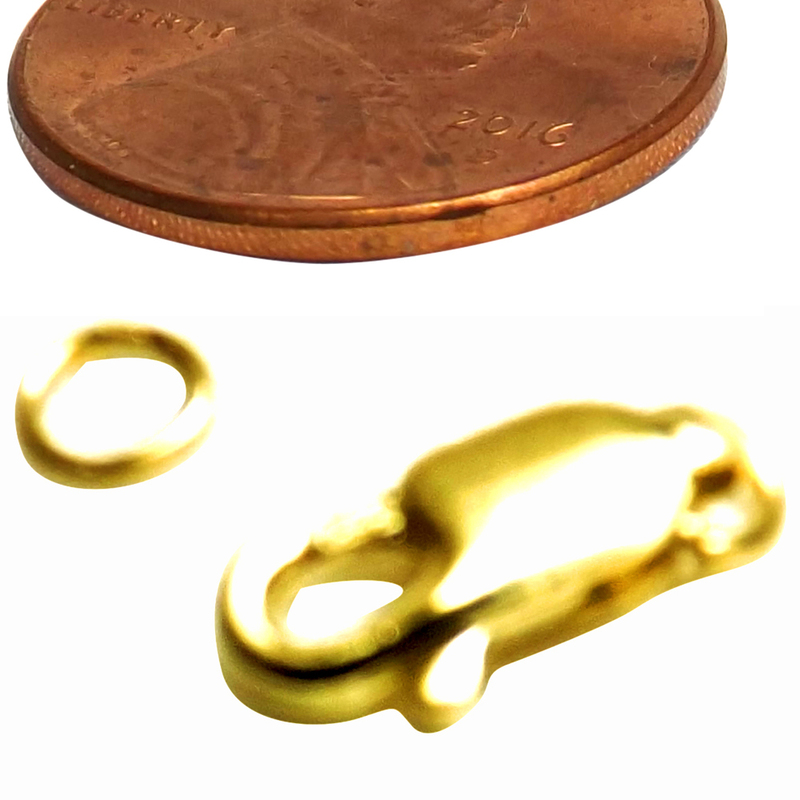 The picture taken with a penny is to give you a sense of size, and also while the jump ring is taken out.